Whomp whomp. 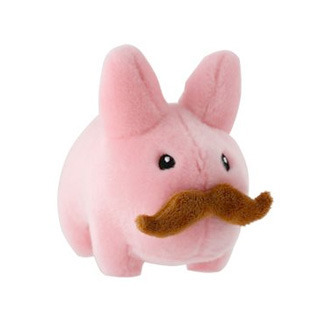 There're no 'Stache Labbit Plush Pink Editions for sale. First ever Labbit I collected, including plush and vinyl. It was my sister's but she wasn't interested in collecting them so she gave it to me. Great material and cute appearance. Will always hold a special place as my first ever Labbit. Hard to find in stores anymore. Great addition to any collection.